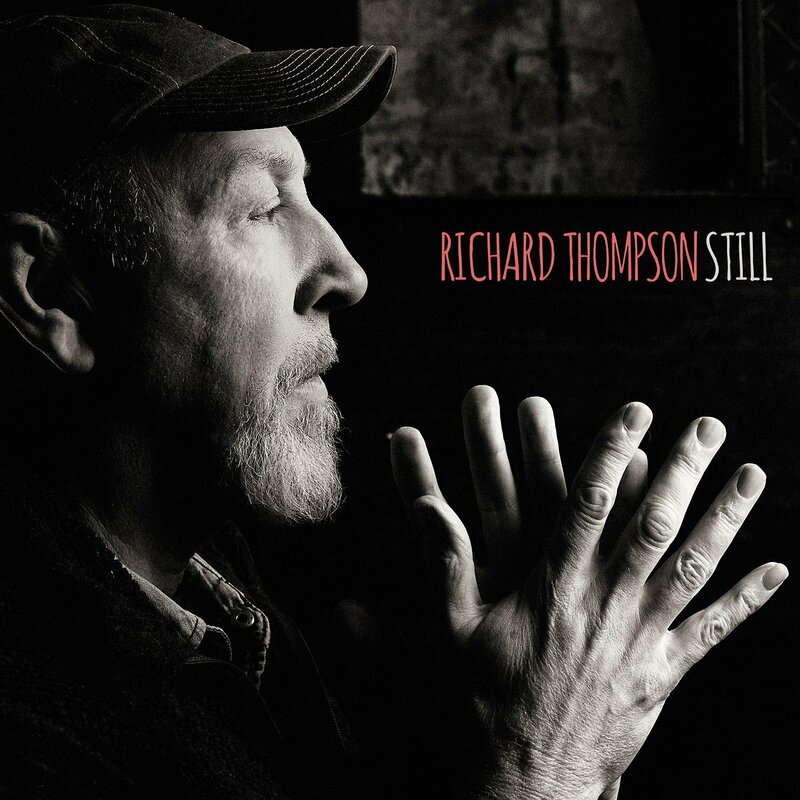 If you don’t know who Richard Thompson is for some reason, then I’ll start by saying this – if you’re looking for pretty vocals you might want to look elsewhere. For pretty vocals from a singer/songwriter with the last name Thompson, look up Teddy Thompson, Richard Thompson’s son, who sometimes plays and records with his dad and is an accomplished singer/songwriter in his own right. Teddy is the type of singer whose voice is familiar with the adjective “golden.” His father, Richard, is a much more, shall I say, “human” singer. Fortunately Richard is a guitar wizard and a first-rate songwriter. He is also a witty and wizened old folkie from the sixties, who is now in HIS sixties, but who remains in full command of his guitar playing and songwriting powers on this, his 42nd album, titled STILL. About half of this album had to grow on me, and about half was instantly appealing, which is actually a nice balance. Enough low hanging fruit to attract me to the tree and keep me there long enough to notice something desirable is also growing in the upper branches. I imagine fans of Richard Thompson will find plenty to enjoy on STILL, and for those who may be new to his world, if you like folk, rock, virtuoso guitar work (both acoustic and electric), acerbic wit, failed relationships, English nostalgia and romance, songs about pirate con men…and 1960’s recording artists who have influenced hordes of contemporary musicians and who’ve still got it after all these years, then this latest offering from Richard Thompson might just be your cup of tea. Psst…Wilco fans, this one’s produced by Jeff Tweedy. This entry was posted in Album Reviews, You Tube Song Samples and tagged Album Reviews, All Buttoned Up, Constant Listener, Dear Music Appreciators, Long John Silver, Music New Releases 2015, Richard Thompson, Still on July 4, 2015 by Constant Listener.